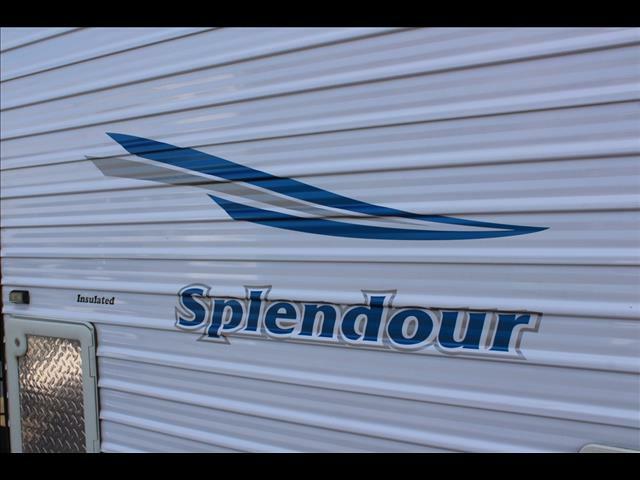 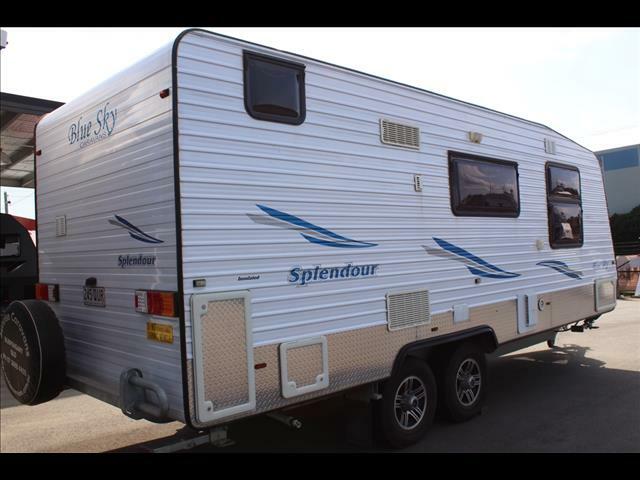 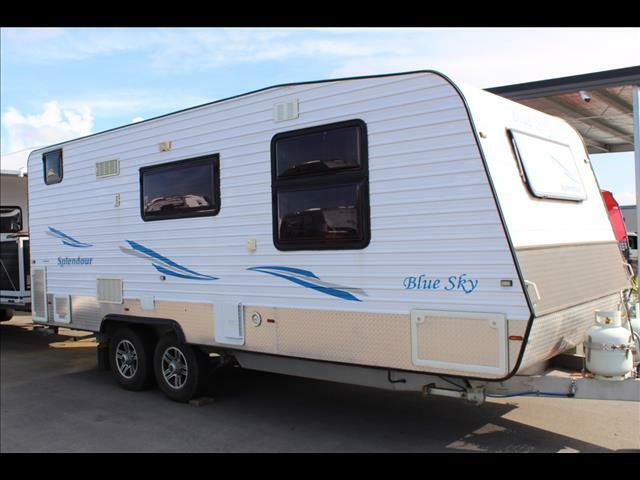 This Blue Sky Splendour is a great caravan, it has solar, battery, water tanks, washing machine, full ensuite and more than enough storage. 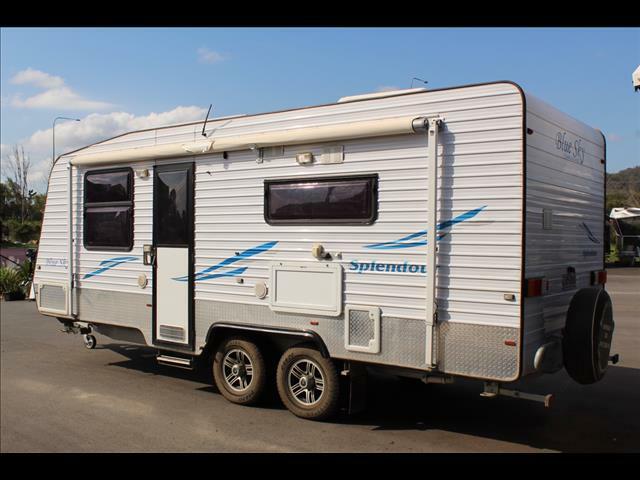 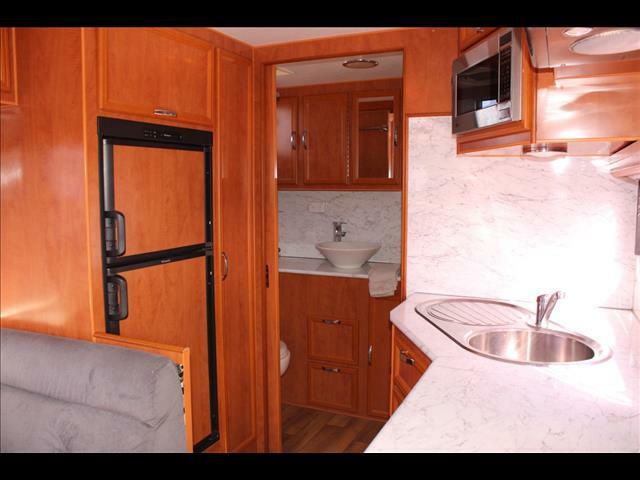 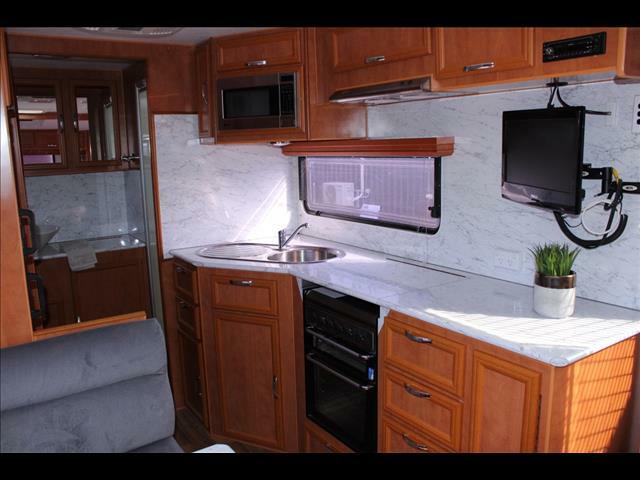 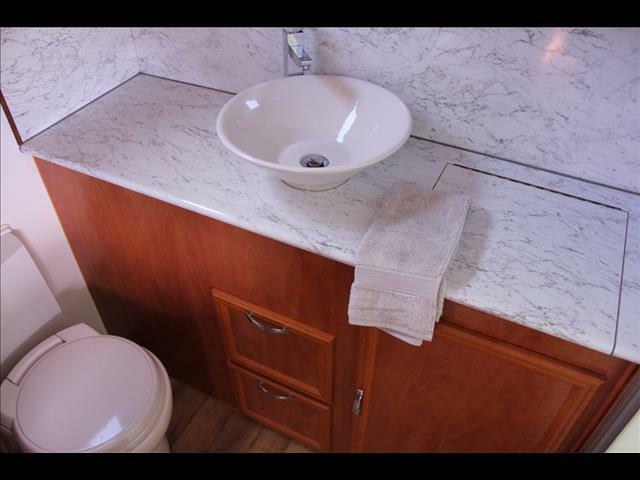 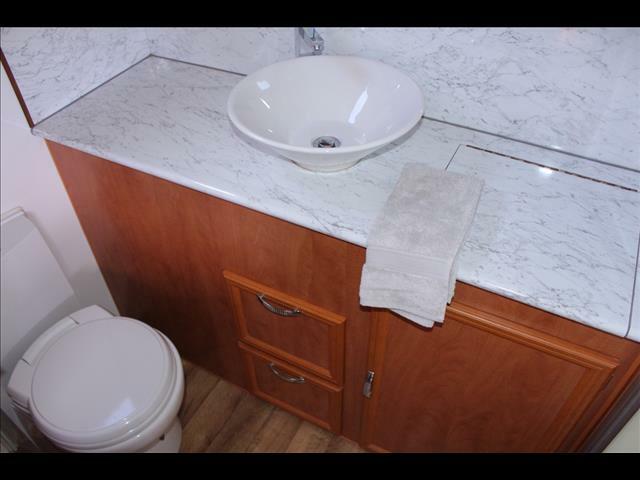 It has been a one owner caravan and will not fail any inspection. 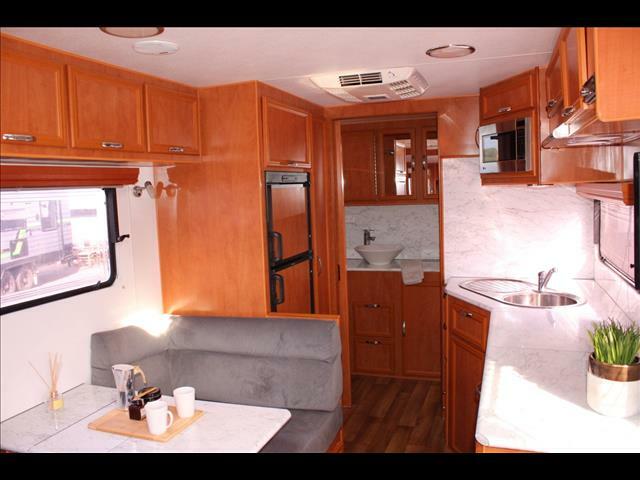 Inside is a fabric covered Cafe dining area with a tri fold table, a fully appointed kitchen with everything you need to cook up a storm, a 3 way fridge and a food pantry with shelving to make the most of space. 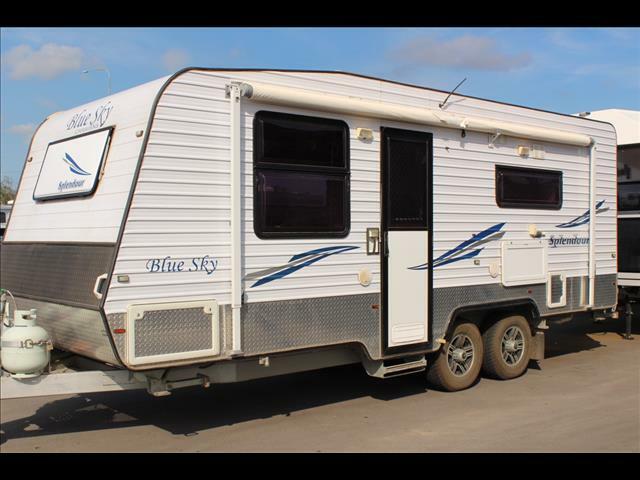 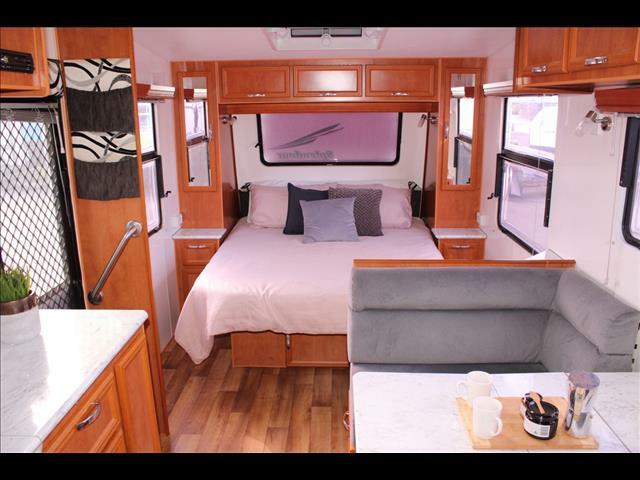 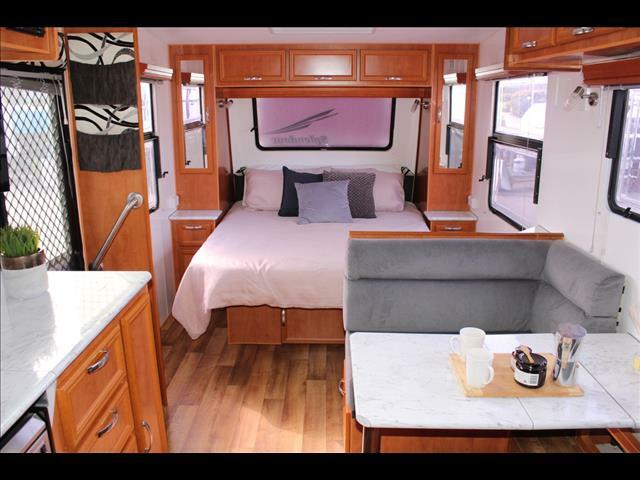 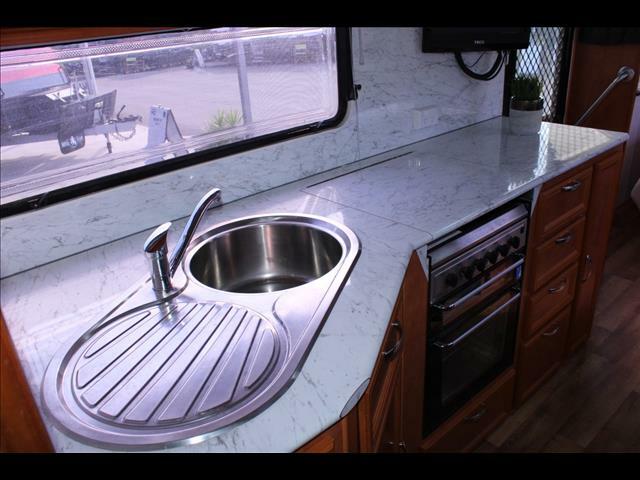 There is an RV Queen bed that promises a great night sleep and a spacious full ensuite with a washing machine and heaps of cupboard space. 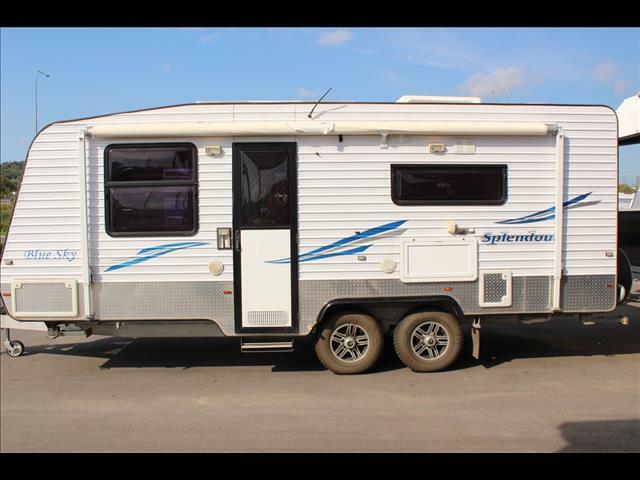 Outside this van is unmarked, with tunnel boot storage, spare mounted on the rear bar and dual axle for a great payload and towing ease.